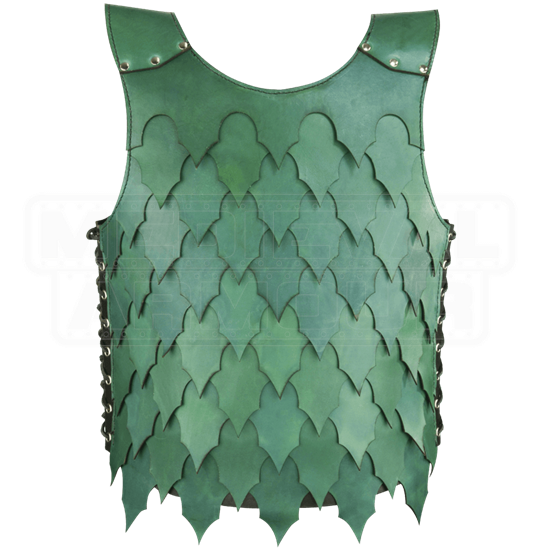 Your foes will cower when you meet them on the field wearing this Dragonscale Leather Armour. For who would wear the skin of a beast but the one who slew the foul wyrm? This leather cuirass is perfect for LARP and costumed events. Hand crafted in our shop from high quality leather and finished with steel or brass hardware, this body armour is available in a variety of color combinations. The base is made of 7/8 ounce leather with overlapping layers of 3/4 ounce leather cut to resemble dragonscales. The dragonscale harness comes in one size, adjustable with lacing on each side. This style matches the Dragonscale Quiver (DK3106) and Dragonscale Archers Arm Guard (DK6107), sold separately. 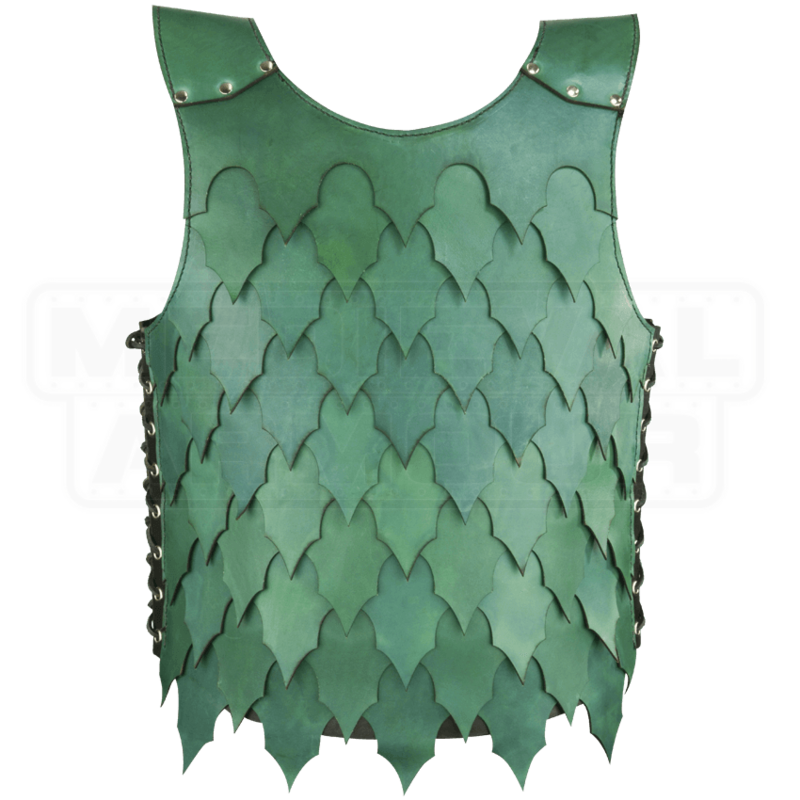 Ideal for training, theatrical performances, and also great for woodland dwellers, the Dragonscale Leather Armour adds an element of fantasy to your armoured kit.